This equipment is situated up on the 10th floor of a building in a mechanical penthouse space that is about 40 years old (if not more). The photos haven't been changed except to blur the ID tags. The ID tags show the end user's name as well as the electrical inspection firm that checks these things. The tag indicates they had been inspected within 2 months of my being there. I can't imagine the inspection company would have passed the equipment in this stage. So the question is: who left it open, and why? I was trying to get a closer look to see if the door was left open unintentionally, or if there was a problem with the latch mechanism, or maybe the breaker inside, that prevented the door from closing all the way. 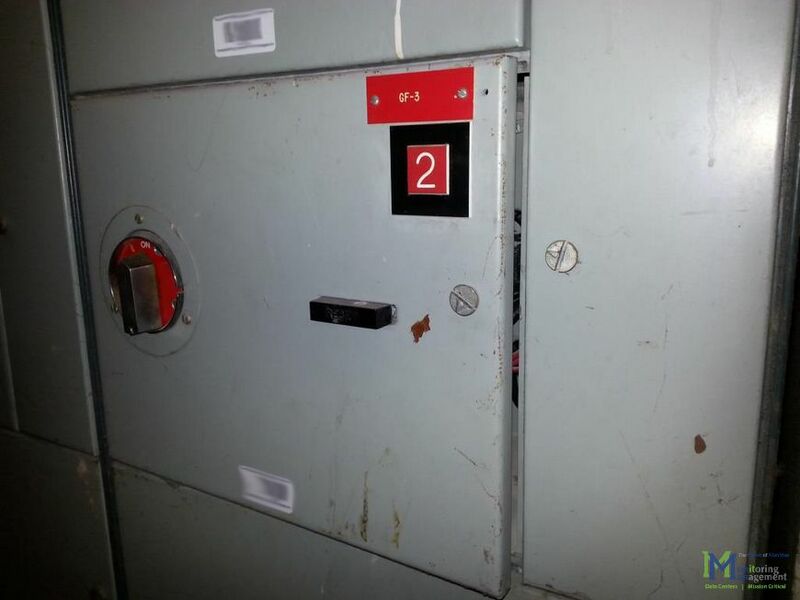 I think this possibility, that there is a mechanical issue with the door, and it was left open and energized, is the most concerning possibility! 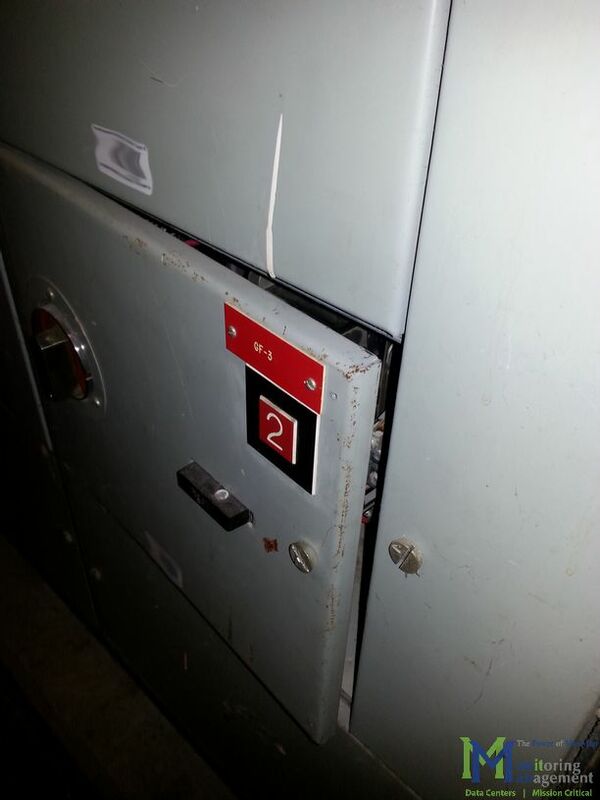 That would mean someone knows about this issue and chose to leave the door open with the breaker closed. Juding by the rest of the MCC, I think this is an original piece (although I am not an expert at dating this type of equipement and forgot to check the nameplate data) and they might want to consider replacing it before it drops the load, or worse, someone gets hurt! Now, I know that in the real world, there are a lot of limitations: deadlines, budgets, priorities, and an old motor control center running some chilled water pumps and fans might not be on the top of the facilities engineering/maintenance department's list. BUT, this seems like a safety and reliability issue. Shouldn't those types of issues be escalated to the top of the list? I told the plant manager about this. He said he would "check into it." I wander how access to the facility is controlled. if you can argue that it is only accessed by electrically qualified persons there might not be a problem. I all other cases I wander why the boxes is not with some form of key to prevent unqualified access. The pictures are quite common, left open because the technician is to revert in just a moment, then the moment has just become very long. Asbjørn: Good point! I should have noted what sort of security measures are in place. You need to have a specific key (standard, manual key, not electronic) to enter this room. There are several people who have the key: the facilities director and his entire department, third party technicians and contractors. 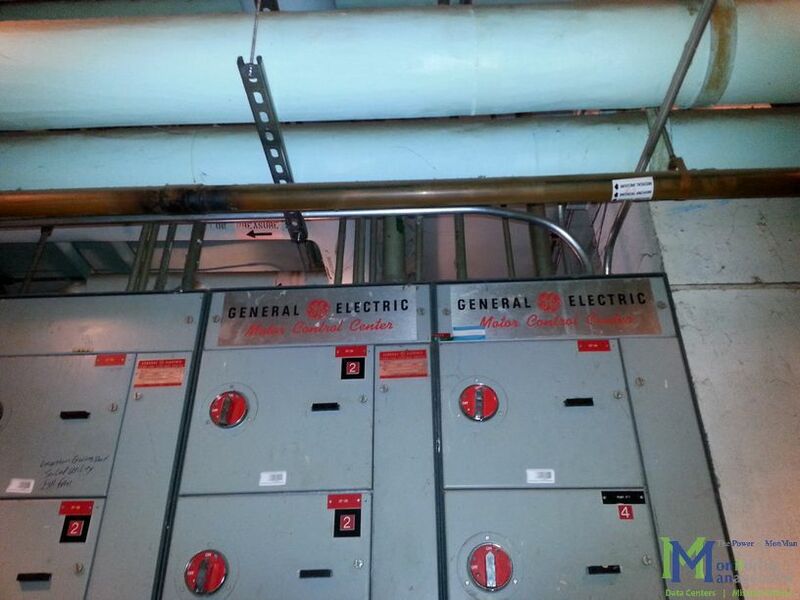 To be sure, the general public does not have access to this electrical/mechanical room, but there are many people who hold the key to enter the door.